Such as Oral liquid, vials, xylitol, shampoo bottle, small taper round cosmetic bottles. Machine performance is reliable, with compact size and wide scope of application. Printing device is optional, then you can put date information while do labeling. 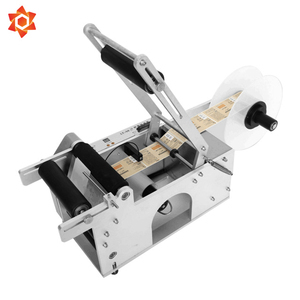 computerized woven label machine garment label printing machine cutting machine Description : Usage: computerized woven label machine garment label printing machine cutting machine Fixed-point Automatic Labeling Machine is suitable for round container labeling. 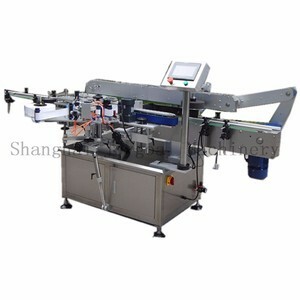 Characteristic computerized woven label machine garment label printing machine cutting machine is mainly composed of SUS304 chassis; conveyor belt; Split bottle;Pneumatic clip bottle; rubber wheels;labeling head;Head adjustment etc. Use Siemens PLC, touch screen; servo motor as the main components, control devices run at high speed. 2 YRS Shanghai Yimu Machinery Co., Ltd.
No need of instrument, rotary mechanism is convenient to adjust, apply to differ bottle type. 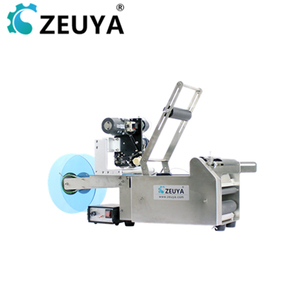 Unique sleeve labelling method, adopt to pressing sleeve labelling method, not only convenient but also reasonable. Label location system, can promote and demote in-phase adjust location according to specific bottle type requirement. 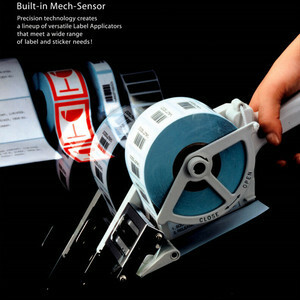 bottle labelers enable the user to label all kinds of cylindrical objects. bottle labelers enable the user to label all kinds of cylindrical objects. 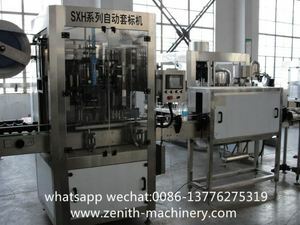 High accuracy and high apeed,dispensing & labeling automatically. 11 YRS Ruian Jingda Printing Machinery Co., Ltd. If the main parts go wrong without artificial factors within one year, we will freely provide them or maintain them for you. After one year, if you need to change parts, we will kindly provide you with the best price or maintain it in your site. Q2: What is delivery date of your products9 Delivery date is 30 working days usually most of the machines. 2 YRS Shanghai Grepack Packing Machinery Co., Ltd. 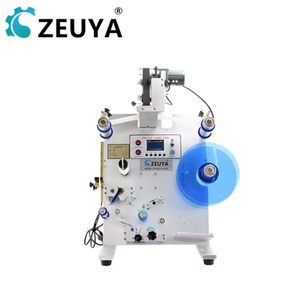 This machine is used for the surface labeling for one side or two sides of the round, square and flat objects in such industries as food, medicine, cosmetics and cultural supplies and so on. Adapt PLC system,very convenient to operate and control. The human-machine touch screen automatically adjusts related parameters according to the specific input values. 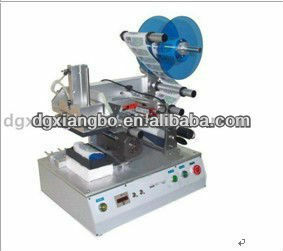 Alibaba.com offers 12,578 woven label machinery products. About 3% of these are labeling machines, 1% are other plastic product making machinery, and 1% are cable manufacturing equipment. A wide variety of woven label machinery options are available to you, such as free samples, paid samples. There are 12,578 woven label machinery suppliers, mainly located in Asia. 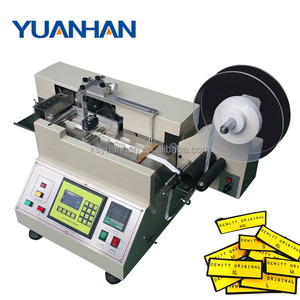 The top supplying country is China (Mainland), which supply 100% of woven label machinery respectively. 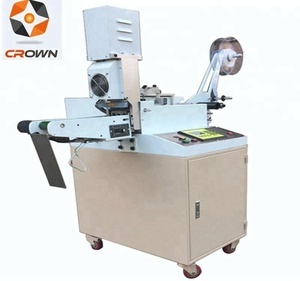 Woven label machinery products are most popular in North America, Western Europe, and Domestic Market. You can ensure product safety by selecting from certified suppliers, including 2,702 with ISO9001, 1,064 with Other, and 340 with BSCI certification.